Mitchell Johnson, a College Ministry Director of Redeemer Church reaching out to Texas Tech, shares about the strategy called Freshman Fifteen. The goal of Freshman Fifteen is to share the gospel with 1500 freshman in the first 15 days. Check out this episode to find out how. How to reach Freshman in the first 15 days? Freshman 15 – A way to share the gospel with 1500 students at Texas Tech in the first 15 days. The goal is the train students to be the next missionaries and church planters. The way they want to reach that goal is to start with freshman. Fun events, house party, etc. It is half off for Freshman. The goal to be more successful is to focus on freshmen! Don’t attack the Campus alone but raise up a team around you to do it. Born in New Orleans, Louisiana, Mitchell moved to Wichita Falls, Texas in September 2005. 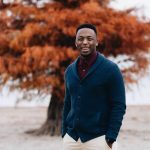 He began following Jesus at Foundation Retreat in 2011 and graduated from Texas Tech in May 2015 with a bachelor’s degree in Human Sciences. During college, Mitchell served on the Foundation Retreat staff and in Men of God Christian Fraternity. In his spare time, he enjoys hanging out with friends, tossing the football, and watching The Office. Mitchell’s heart is to see college students fall in love with Jesus Christ.